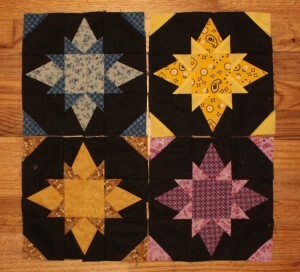 I’ve gotten 4 twinkle stars sewn so far. I have several more cut out, but I’m not sure if I will get them sewn. So, here are 4 to donate (since I won last month). For some reason, I had trouble with this one at first. I’m not really sure why, but the first one didn’t come out well at all . I walked away for a few days, came back to it and the blocks were fine. 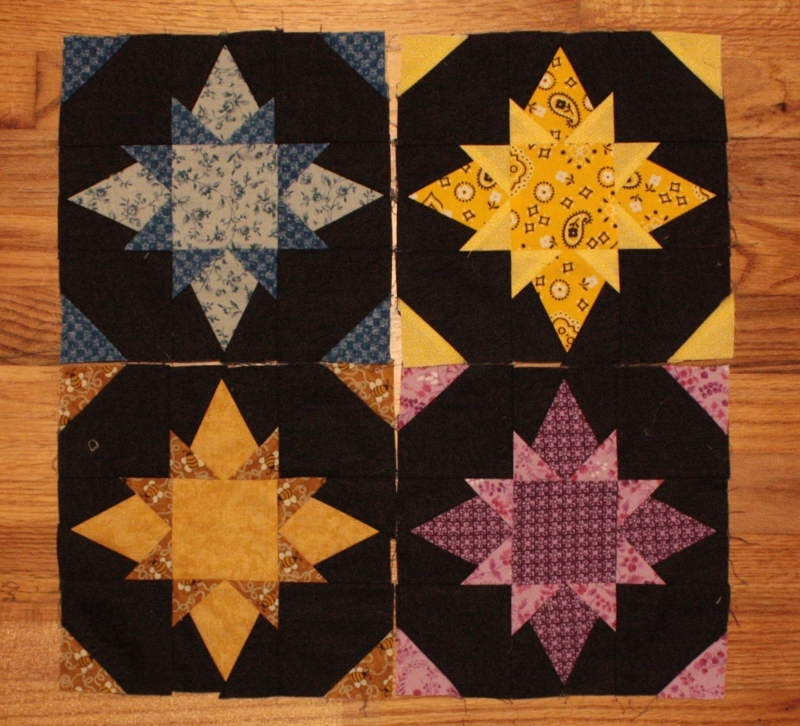 It is a new block to me, so I enjoyed learning it. I challenged myself to only use my precuts (4″ and 2″) for the colors (I really have a lot of those), which made it fun to “paw” through my precuts drawers. I am considering buying a TriRecs ruler – any comments from those who already have one? I had the trip-recs tools in a drawer for years before I used them … but now that I have, I really do use them whenever I have to make that shape. Your timing is perfect. I just updated our template for the site and added a plug-in that will give us the “like” that Linda asked for … Yours is the first post with a like button. I highly recommend the Tri-recs rulers. I bought them ages ago and finally forced myself to use them last year and I am glad I did! I love my Tri-recs rulers and use them all the time. Go for it!